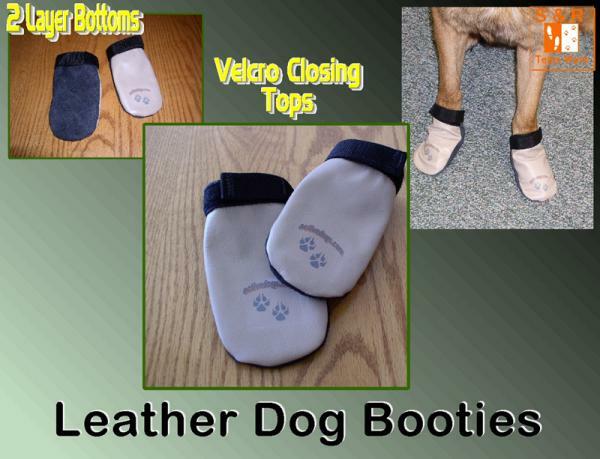 The Leather Dog Booties are made of soft, durable tan leather. 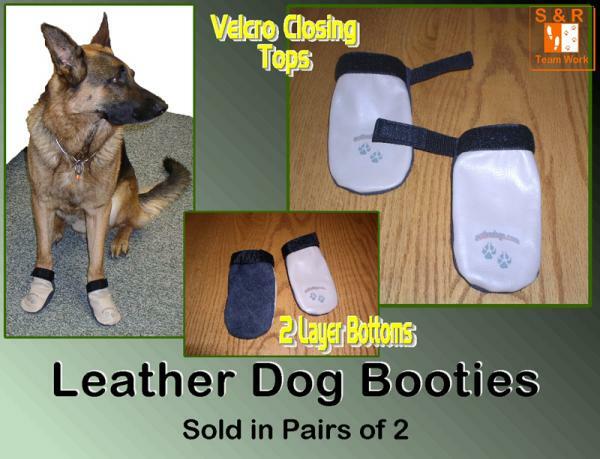 On the bottom of each boot is a double layer of black suede leather (stitched together) to help keep the dog from slipping. At the top of each boot is a Hook and Loop strap closure. 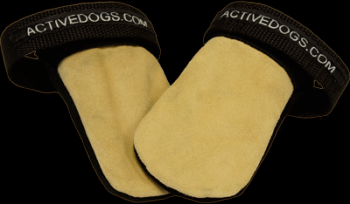 Most dogs need a different size for the back versus the front paws. This item is sold as a set of 4.